Your voice matters. Join the fight on Twitter and Facebook with #imaginenohunger, and imagine along with John, Yoko and WhyHunger, a world without hunger. (New York, NY) – November 14, 2013 – "John Lennon: The Bermuda Tapes," a new, groundbreaking interactive album app for iPhone, iPad and iPod touch, is now available exclusively on the App Store. I think the album app captures the sense of discovery and the artistic dialogue that John and I shared at that time and provides a new way to help us imagine a world without hunger. "The cumulative effect of the app is harrowing: Hearing Lennon's voice and seeing pictures of him with Sean, it's hard to believe it's been 33 years since his death." This app is meant to recreate the experience of becoming immersed in a record album. It does so in a way that I never could have imagined. The creativity and thought that went into this is incredible and this app is hugely entertaining not only for the music and stories, but for the way in which you become part of the story. What a wonderful cause and a magnificent app. This is food for the soul! John Lennon: The Bermuda tapes was named a 2015 Interactive Annual Winner by Communications Arts. This juried competition recognizes the finest talent in the industry and celebrated the app as "Touching and timeless musical magic" and an experience that "made me feel good and was hard to put down." John Lennon: The Bermuda tapes was named as one of three finalist out of 150 submissions for the FOST Prize. 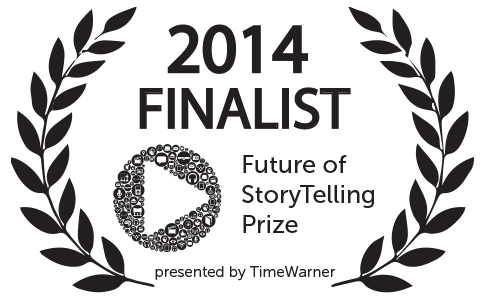 The prize recognizes "exceptionally innovative, emotionally resonant, and impeccably designed storytelling projects." John Lennon: The Bermuda tapes was named as a finalist for the prestigious SXSW Interactive Awards, recognizing the industry’s top new talent for digital projects launched in 2013. John Lennon is a trademark of Yoko Ono Lennon.©Yoko Ono Lennon. Licensed exclusively through Bag One Arts, Inc.